Hi all! 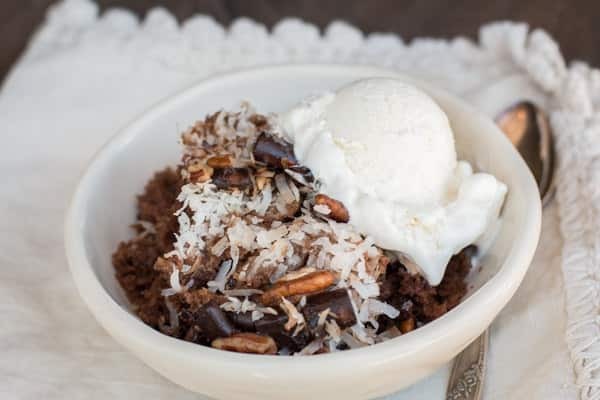 I think you will love this Slow Cooker German Chocolate Spoon cake. This cake is warm, goey, and full of standard German chocolate cake flavors, but I serve this warm with ice-cream. If you are like me and don't turn your oven on in the summer, you will enjoy this recipe. I start with a cake mix, but I dress it up a bit with butter instead of oil. I also add vanilla extract, and a dash of salt. 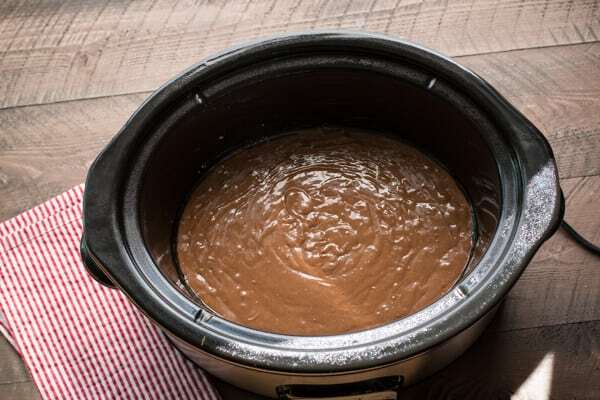 I pour the batter into a well greased slow cooker. Then I top the batter with coconut, chocolate chunks, and pecans. Cook on High for 1 hour and 45 minutes. Below is what it looks like after it is done cooking. This cake isn't the type that is cooled and sliced. You dig into it with a spoon, warm. Top with ice cream. Best dessert I've had in a long time! 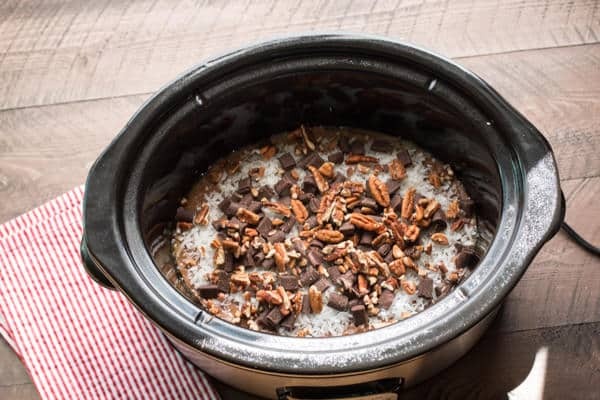 Watch how to make it on The Magical Slow Cooker's YouTube channel, and follow her here. 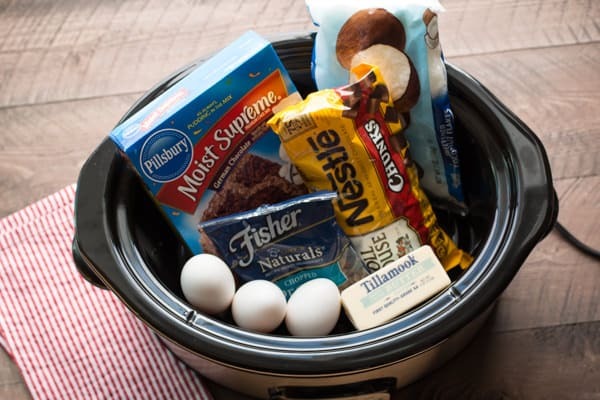 Mix the cake mix, melted butter, water, eggs, vanilla, and salt in a medium-sized bowl until just combined. Do not overmix, it is ok if there is small lumps in the batter. Spray the slow cooker very well with non-stick spray. Pour the batter in to the slow cooker. 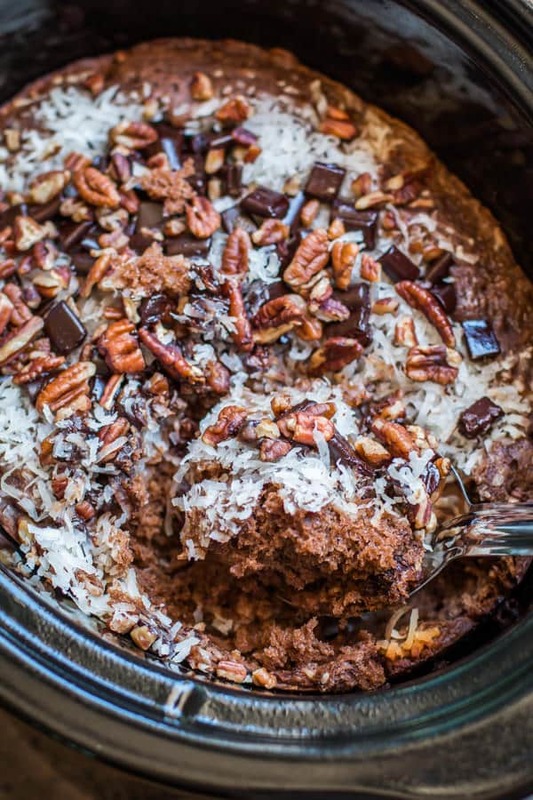 Sprinkle over the coconut, chocolate chunks and pecans. Cover and cook on HIGH for 1 hour and 45 minutes. 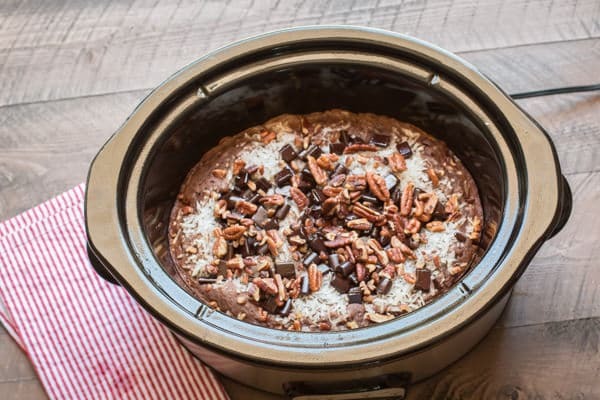 The post Slow Cooker German Chocolate Spoon Cake appeared first on The Magical Slow Cooker.